North Queensland have won their first ever title in beating Brisbane 16-7 in the final of the inaugural Auckland Nines. 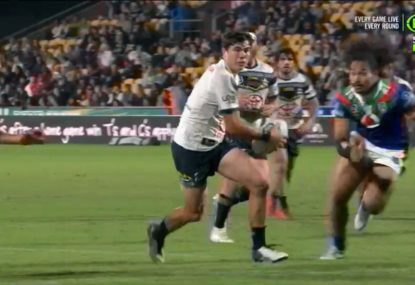 The Cowboys led 10-0 at halftime on the back of tries to Antonio Winterstein in the fifth minute who whizzed past two Broncos defenders with some light stepping close to the line and Curtis Rona who also crossed out wide in the eighth minute. 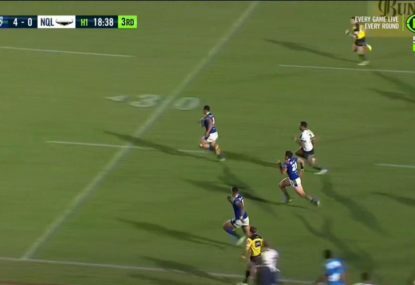 Broncos playmaker Ben Hunt closed the gap with a five-point try in the 16th minute before one of the players of the tournament, Rona, burst away for the match-winner with one minute to play to the delight of his teammates. Earlier, the Cowboys toppled hot tournament favourites the Warriors in an 8-0 semi-final upset. 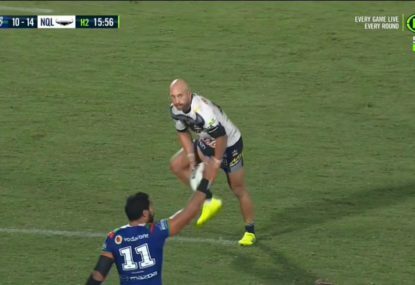 Spurred on by rapturous home-town support the Warriors had set the tournament alight, with captain Shaun Johnson and Sam Tomkins starring, but were stopped in their their tracks by a determined Cowboys outfit. The free-scoring Warriors looked out of sorts in the tournament’s penultimate match and Johnson admitted as much post-game. “It was a disappointing way to go out, we started off poorly it was the worst we played all day,” Johnson said. Aucklanders embraced the event with 89,003 fans passed through the gates of Eden Park over the two days. Warriors owned Eric Watson said the Nines had created almost unprecedented interest in rugby league in New Zealand. “It is very special. We all have dreams but to imagine having all 16 teams playing together at Eden Park is incredible,” Watson said. The event has pumped over $5 million into the New Zealand, which Duco Events Director David Higgins, the brains behind the tournament, said had exceeded expectations. 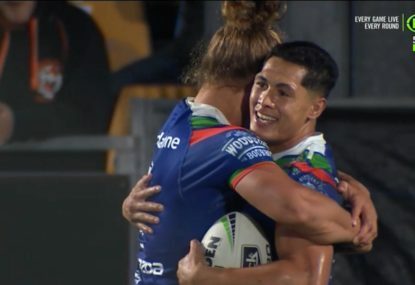 “It’s been a fantastic thing for Auckland and a fantastic thing for rugby league and will be around for years to come,” he said. A season ending injury to Cowboys fullback Lachlan Coote took some gloss off the Nines’ success. 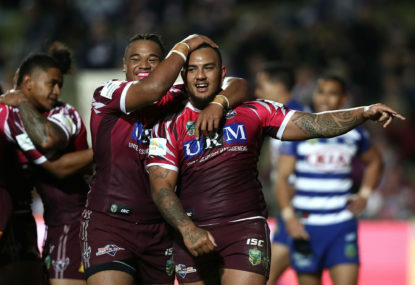 Coote ruptured his ACL on the first day of the tournament and will miss most of the NRL season, while Manly winger David Williams has also suffered a suspected ACL injury. 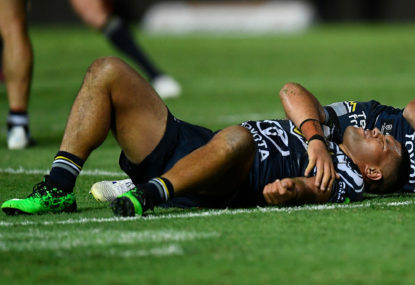 The former Kangaroos flyer is due to undergo scans on Monday. While South Sydney playmaker Luke Keary also faces an extended period on the sideline with a shoulder complaint. Wests Tigers utility Curtis Sironen (foot) is out for six weeks, Newcastle pivot Jarrod Mullen will miss around four weeks with a hamstring injury, while Cronulla playmaker Todd Carney is in doubt for the NRL season start with a hamstring complaint.